- Lenten devotional by celebrated author, well known in the United States and Great Britain When is love not mixed up with something else? Love and the desire to possess, love and the need to control, love and the need to be needed, love and the lust to absorb, love and condescension, love and narcissism. 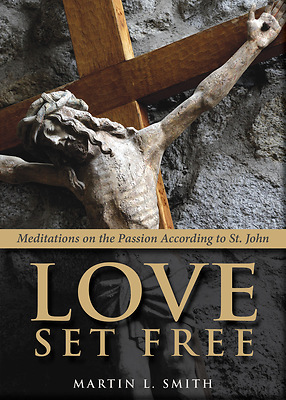 In this short book of meditations on the Passion according to Saint John, Martin L. Smith shows how, in the Christian mystery, love itself must be crucified and die to be reborn as the grace of communion...as love set free. Originally published in 1998, Love Set Free has strong recognition in Episcopal/Anglican circles as a series of meditations designed for use as lectio and suitable for Lent or Holy Week.